Abstract: The Ratkovce 1 well, drilled in the Blatné depocenter of the northern Danube Basin penetrated the Miocene sedimentary record with a total thickness of 2000 m. Biostratigraphically, the NN4, NN5 and NN6 Zones of calcareous nannoplankton were documented; CPN7 and CPN8 foraminifer Zones (N9, 10, 11 of the global foraminiferal zonation; and MMi4a; MMi5 and MMi6 of the Mediterranean foraminiferal zonation were recognized. Sedimentology was based on description of well core material, and together with SP and RT logs, used to characterize paleoenvironmental condi- tions of the deposition. Five sedimentary facies were reconstructed: (1) fan-delta to onshore environment which devel- oped during the Lower Badenian; (2) followed by the Lower Badenian proximal slope gravity currents sediments; (3) distal slope turbidites were deposited in the Lower and Upper Badenian; (4) at the very end of the Upper Badenian and during the Sarmatian a coastal plain of normal marine to brackish environment developed; (5) sedimentation fin- ished with the Pannonian—Pliocene shallow lacustrine to alluvial plain deposits. 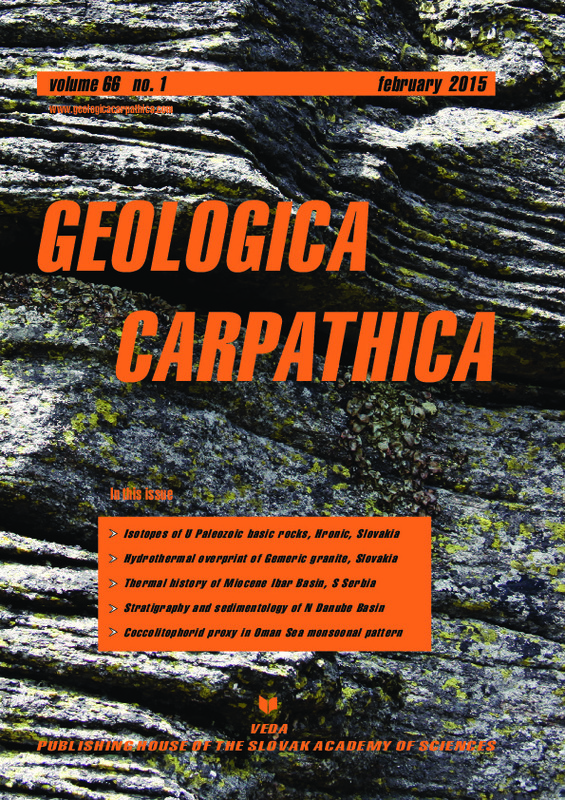 The provenance analysis records that the sediment of the well-cores was derived from crystalline basement granitoides and gneisses and from the Permian to Lower Cretaceous sedimentary cover and nappe units of the Western Carpathians and the Eastern Alps. Moreover, the Lower Badenian volcanism was an important source of sediments in the lower part of the sequence.